Are you going to be in the Woodstock area this Thanksgiving? If so, you should take the opportunity to experience an 1890’s Thanksgiving at Billings Farm and Museum. Thanksgiving weekend, November 25th through the 27th, 2017, 10am to 4pm. The Billings Farm and Museum, in Woodstock, Vermont, is both a working dairy farm and a historic house museum. The farm is surrounded by more than 200 acres of cropland and the Mount Tom forest, yet is just a short stroll from Woodstock village center. The historic farm, established in 1871, continues a century-long tradition of agricultural excellence. Billings Farm is known for its prize-winning Jersey cows, draft horses, Southdown sheep, and delicious, 100% raw-milk cheddar cheese. The facility focuses on rural life, work, and land stewardship based on the traditions and values of the 19th century. A visit is the ideal way to experience both the spirit of rural Vermont and what life was like in the 1890’s. The meticulously restored, historic Farm House and barns house displays of artifacts, oral histories, and photographs. Exhibits and hands-on activities illustrate the tasks that shaped the lives of rural Vermonters of the era. 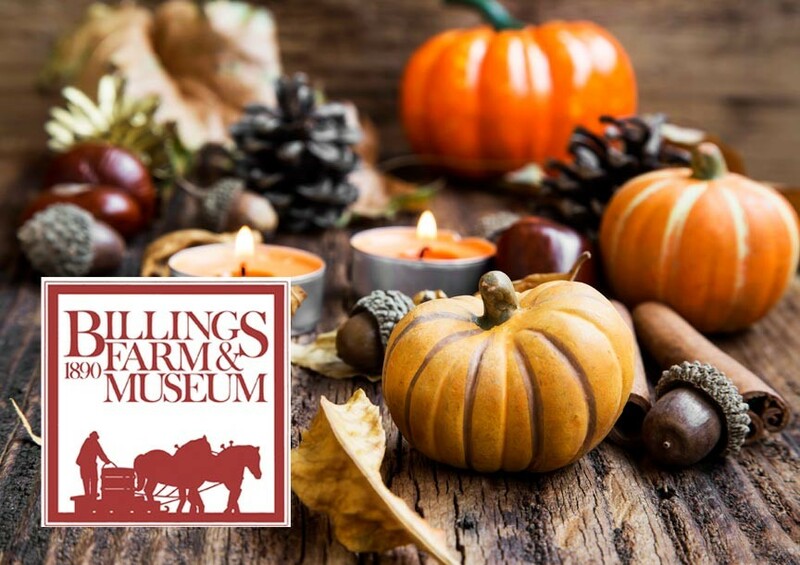 The museum also offers seasonal events, like the upcoming Thanksgiving at Billings Farm and Museum. Thanksgiving at Billings Farm features traditional cooking demonstrations in the farmhouse, horse-drawn wagon rides, farm tours, and more. Visitors will be able to learn to milk the farm’s cows as well as engage in preservation activities. Costumed interpreters will demonstrate preparing traditional Thanksgiving fare in the farmhouse kitchen. You’ll have the chance to participate in the hands-on food preparation, such as making piecrust and peeling apples. You’ll also have the opportunity to relax in the Victorian parlor and learn how American Thanksgiving traditions have evolved. Thanksgiving at Billings Farm also includes a cup of hot cider and a ride around the farm aboard a wagon pulled by a team of draft horses. Billings Farm and Museum is regarded as one of the finest outdoor history museums in the country. Be sure to check it out whenever you’re in the area, Thanksgiving or not. Let Deer Brook Inn be your home away from home whenever you’re in the Woodstock area. Our 4 plush guest rooms and suites include en suite bathrooms, in-room heating/air conditioning, high-speed WiFi, and more – all within the charming surroundings of an 1820’s farmhouse! Book your stay at Deer Brook Inn today.